Why despite all the gains made in technology and budgeting can’t Christians make good movies? 1. Christian movies are not made by artists but propagandists. I tracked this shift most notably in Christian writing (fiction) about 20 years ago. We always wondered why there weren’t any more C.S. Lewises or G.K. Chestertons around. The truth is, there were — they just weren’t writing for the Christian market, because that market does not want art that communicates truth but art that is being used by a message. And there’s a difference. It is the difference between art and propaganda. 2. Christian movies take place in the imagined reality of Christian sentimentalism. Characters in Christian movies don’t often sound like people in real life. They sound like Christians imagine (or desire) real life to be. This is why the Christian protagonists are always earnest, even when they “don’t have all the answers,” and why the non-Christian antagonists always sound like the one-dimensional memes Christians tilt against in their Facebook streams. Dialogue between believers and unbelievers always trends upward toward the believers’ win column, not because that’s how real-life conversation usually goes, but because that’s how Christians want it to go in their minds. You know the debates that you play out in your daydreams where you inspire the team with your spirituality, “own” the atheist with your apologetics, or warm the heart of your cranky neighbor with your kindhearted wisdom? All of that gets to come to life as if it really happens in a Christian movie. It doesn’t have to sound real. It just has to sound like the real we imagine there to be. 3. Christian movies emphasize narrative tidiness over nuance. When I was trying to get my first novel published, I had an interested publisher say to me, “We can’t publish this if the sheriff has his arm blown off in the firefight at the end.” The scene in question was not gory or indulgent. But it was a narrative choice I made to make the stakes real and high. A good guy can get hurt in real life. Well, my big mistake was mistaking the world of Christian fiction for real life. In the world of Christian fiction — at least, for that publisher — good guys don’t get hurt. Thankfully many Christian movies don’t follow those rules anymore, but they still prefer narrative tidiness over nuance. There is a kind of prosperity gospel that pervades contemporary Christian art. It’s there in CCM radio, of course, and it’s all over Christian movies, including the ones based on true stories. The team has to win. The sick person has to defy the odds. (If you can get a sick person and a sports team in the same story, you’ve hit Christian movie gold.) The atheist prof must get owned. The unbelieving spouse must be converted. On and on it goes. Why? Because “if you just believe,” you can win. Christian movies have embraced a theology of glory rather than a theology of the cross. This is why, apart from inauthentic dialogue and stilted acting, Christian movies ring so untrue to ears tuned to reality. We know real life doesn’t work this way — even for believers. The world of Christian movies is uncomfortable sitting in the ambiguity of suffering, confusion, or chaos for too long. But if we must have Christian movies, they above all others should be brave enough to tell us the truth, which is messier than what the market usually wants to hear. 4. Christian movie theology must be contained in platitudes. Every prayer sounds scripted. Every dramatic moment sounds cliched. The pastors sound like the phrases on motivational posters. Christians speak to non-Christians in “gotcha” wisdom, delivering Jesusy fortune-cookie bon mots to souls apparently just a few well-turned phrases away from conversion. The theology of Christian movies can be scribbled on the back of a napkin. It’s Christian bookstore coffee mug-level philosophy. It’s Christian T-shirt-level aphorizing. Christian movies are typically made by the same folks who produce weekend services full of applicational pick-me-ups and fog-and-laser inspirational easy-rock. There’s not a lot [of] depth in them because there’s not a lot of depth behind them. 5. Even the best “Christian movie” will never be cool. If you’re still reading, you’re either agreeing with me or just looking for more evidence of what a heartless curmudgeon I am. But here is something to consider that may surprise everybody: Suppose we actually had a Christian movie that was aesthetically excellent and artistically authentic. It was written with a writer’s sensibility, theological depth, the nuance of reality, etc. And then suppose it had clear Christian content in it. Do you think it wouldn’t strike so many of us as out of tune with what we expect good movies to be? Or let’s consider this: The gospel always sounds offensive to the world. 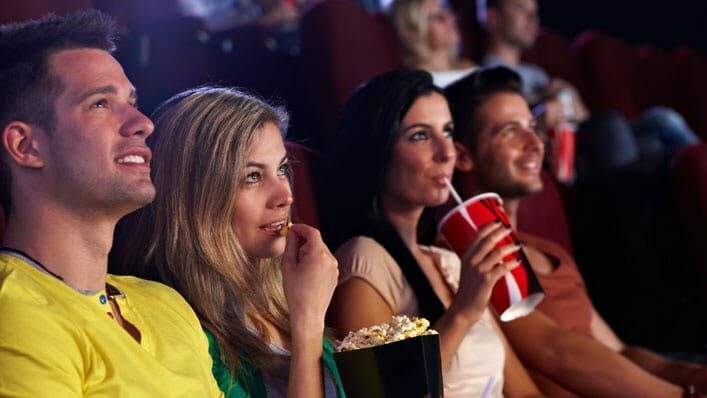 Maybe Christian movies that articulate faith content clearly are destined to be laughed out of the theater, regardless of the excellence of their cinematic context, if only because the cross is foolishness to those who are perishing. What if there isn’t a way to make the gospel sound cool? That’s something worth pondering for Christian moviegoers and Christian movie-makers alike. In any event, if your movie’s gonna get laughed at for being Christian, maybe at least make sure it’s because of the cross and not because it’s corny. Jared C. Wilson is the Director of Content Strategy for Midwestern Seminary, managing editor of For The Church, Director of the Pastoral Training Center at Liberty Baptist Church, and author of numerous books, including Gospel Wakefulness, The Pastor’s Justification, The Prodigal Church, The Imperfect Disciple, and Supernatural Power for Everyday People. A frequent preacher and speaker at churches and conferences, you can visit him online at jaredcwilson.com or Twitter.